Hanging signs with steel cable the traditional way requires the use of crimps, ferrules and a box full of tools. 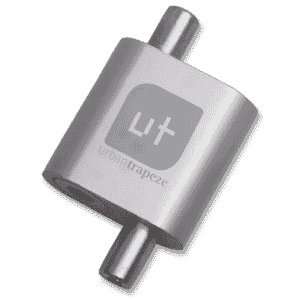 Introducing the UrbanTrapeze™, a versatile and practical cable adjuster that provides fast, simple, safe and cost-effective installations. UrbanTrapeze revolutionizes the sign hanging industry with its built-in locking mechanism which automatically grips the steel cable to keep wire loops securely in place. Once attached to the cable, installers can adjust the hanging height, or level a sign, with the quick push of the clutch button. Pressing either clutch button releases the cable to freely move back and forth allowing for any necessary adjustments. 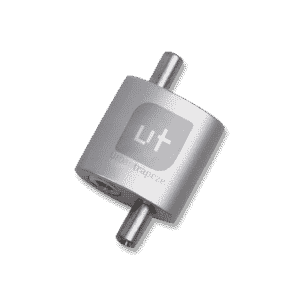 It’s the perfect hardware for installing aisle markers, navigational signs, heavier décor items, lighting systems, and HVAC duct-work. The UrbanTrapeze is compact, reusable, aesthetically pleasing and available in two braking strengths. Anodized aluminum construction provides protection against corrosion. Ideal for ceiling signs in retail, manufacturing, conference and event environments.